Trinseo (NYSE: TSE), the global materials solution provider and manufacturer of plastics, latex binders and synthetic rubber, will once again participate at Domotex, the world’s leading carpet and flooring exhibition in Hannover, Germany. 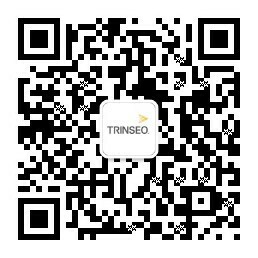 Trinseo will host its booth in Hall 11 B67. As one of the world’s largest suppliers of latex binders for textiles and carpets, Trinseo’s LIGOS™ Binders have been serving the industry’s needs for almost seven decades. Trinseo has global supplies and capabilities to serve its customers wherever they are. With the industry congregating in Hannover at the annual Domotex, Trinseo will be there with a stylized booth that both frames its product offering and focuses on customer needs. “Each year, Domotex provides an important opportunity to meet with customers so we can better understand their needs as well as other industry trends, which help us to develop future product solutions,” said Rainer Knappich, Latex Binders Business Director EMEA, who will be in attendance for Trinseo. Join Trinseo at Domotex 2019 from January 11-14, and learn more about how the company is dedicated to providing carpet backing and flooring solutions to its customers.